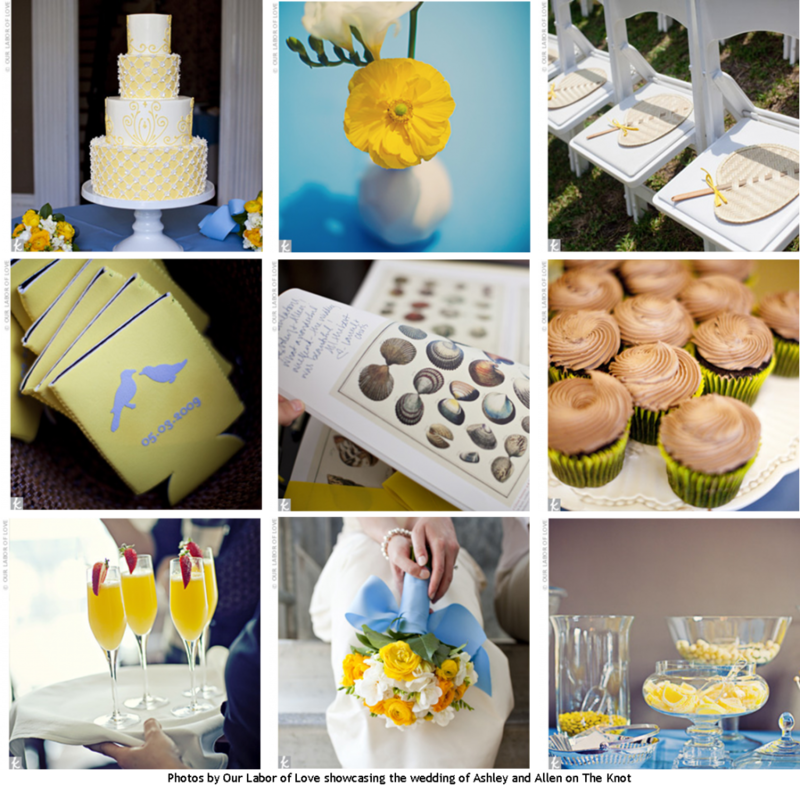 What a fun color scheme to use for your wedding this year! It’s fresh and vibrant and will play well with the setting(s) available to you with a King and Prince Resort Wedding. Having a destination wedding here on Saint Simons Island? Planning a Georgia Beach wedding? Surpise your guests with a unique wedding favor. 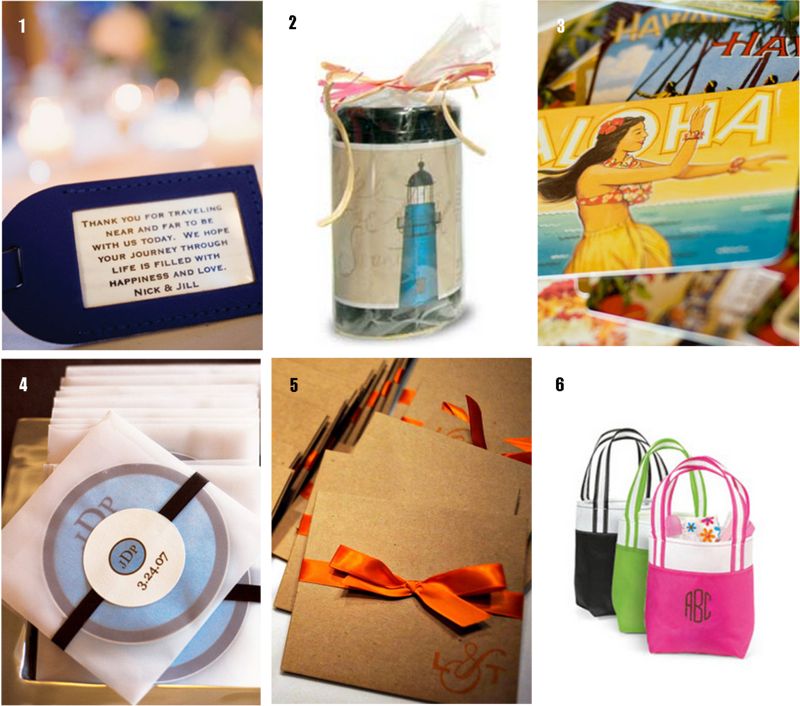 Here are six destination wedding favor ideas for your guests. (1) Leather Luggage Tags. Remind guests of their trip to St. Simons Island every time they travel! (2) Local Delicacies. Brewing a cup of St. Simons’ own Serenity House blends will remind them of your big day. (3) Local Postcards. Bundle a stack of postcards with images of the island so guests can write home about how much fun they are having. (4) CD by a local musician. Choose an iconic artist (Jimmy Buffett) or local cover band (Ziggy Mahoney). Either will make remind your guests of the good times had on the dance floor. (5) Mini Photo Albums. They will thank you later when they are filling their travel-friendly albums with photos from the trip. (6) Personalized Canvas Totes. Weddings can be stressful for your guests too. The Royal Treatment Cottage at the King and Prince provides for personal items during massage treatments, but many guests choose they need to take one home as well.